Burgess Health Center’s Diabetes Center offers important information to improve health and quality of life for those with diabetes. Individuals and their loved ones learn to manage the disease and decrease the risk of long-term complications. Certified diabetes educators Michele Kirkendall, RD, LD, CDE and Sue McLaughlin, RN, CDE educate through a diabetes prevention program, diabetes support group, and also a diabetes self-management plan. Specialized outpatient programs are available for children and teens, adults, and women with gestational diabetes. 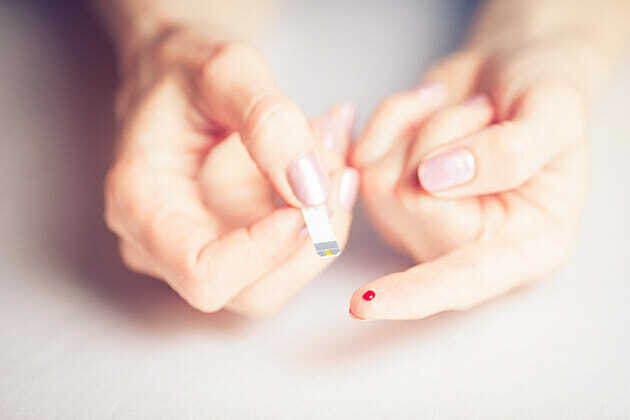 Diabetes is a disease that will not go away—but it can be managed by taking the proper and necessary steps to control it. For more information, please call 712-423-9268. Click the button below to take the prediabetes screening test. The program also offers a diabetic support group that provides patient support in a group setting. The support group allows patients to learn more about diabetes and get support in the adjustment back into everyday activities. This group meets the first Thursday of every month, except for June and July. To be placed on the mailing list, call 712-423-9268.